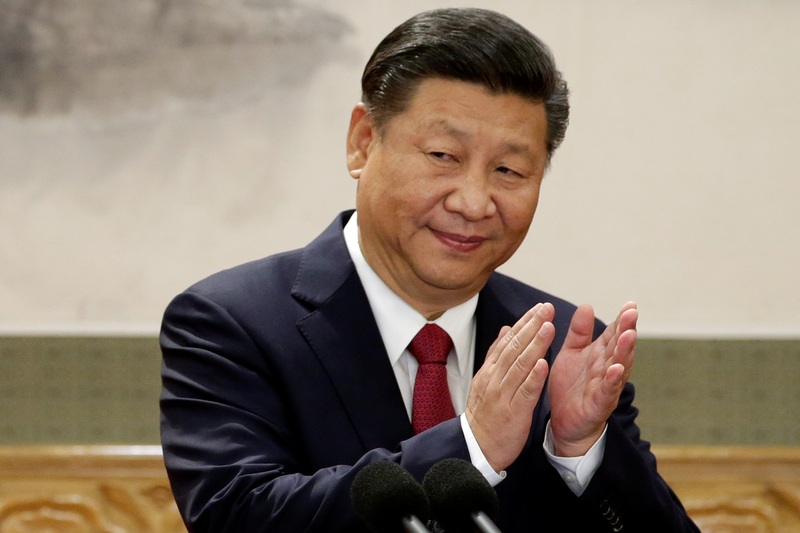 China's President Xi Jinping claps after his speech as he and other new Politburo Standing Committee members meet with the press at the Great Hall of the People in Beijing, China October 25, 2017. European leaders on Jan. 24 warned against a return to nationalism, with France’s Emmanuel Macron and Germany’s Angela Merkel calling for more global cooperation to harness the forces of globalisation. The speeches at the World Economic Forum in Davos, Switzerland by Merkel, Macron and Italy’s Paolo Gentiloni - leaders of the continent’s three biggest economies - came on the eve of U.S. President Donald Trump’s arrival at the annual summit in the Swiss Alps. Macron called for a “global compact” to address the economic forces that have led to rising inequality and a surge in populism. “We have a situation where people are being told, on social and financial issues, that the answer is to do less, to cut our taxes, there is no limit, it’s a race to the bottom,” he said. Merkel said isolationism and protectionism were not solutions to the world’s economic problems. “If we feel things are not fair, if there is no reciprocity we have to seek multilateral answers and not follow a protectionist course,” she said.